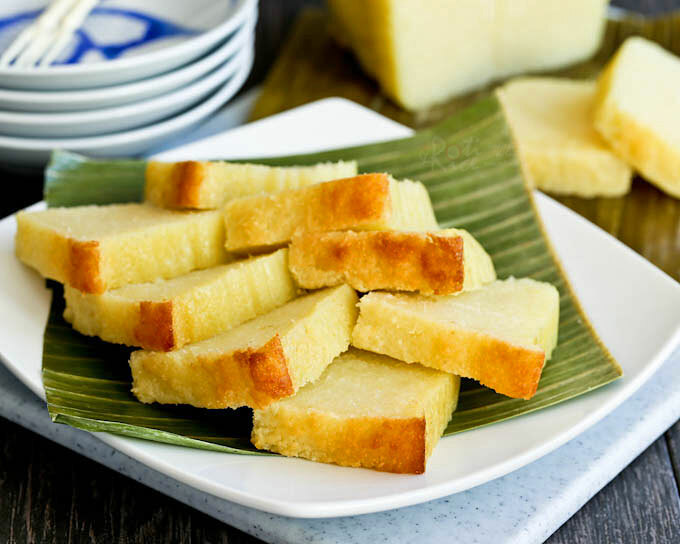 This easy to make gluten free Kuih Bingka Ubi Kayu (Baked Tapioca Cake) is a Nyonya tea time treat. It is moist, tender, fragrant, and super delicious. 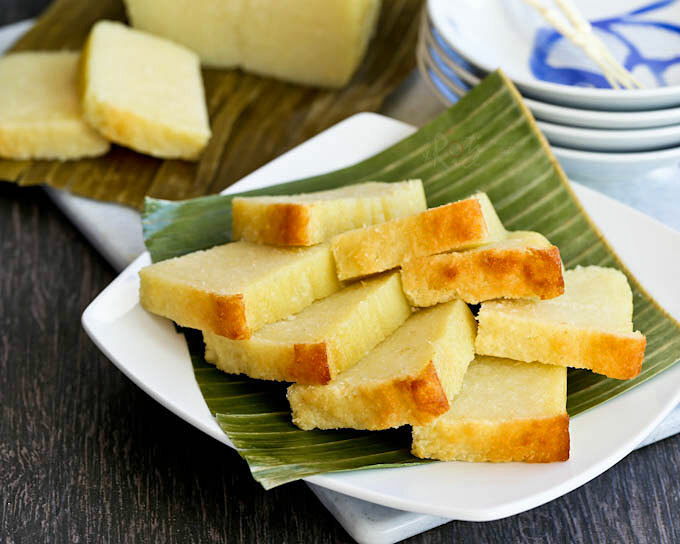 Kuih Bingka Ubi Kayu (Baked Tapioca Cake) is one of my favorite Nyonya kuihs (Straits Chinese cake). It is fragrant, tender, slightly chewy, and perfect with a cup of tea. It is also relatively easy to make compared to other Nyonya kuihs. Simply mix everything together and bake. Some years back, I posted an egg free version. I have always wanted to make the full recipe with eggs and I finally got round to it this time. In my first attempt, I tried to make it as “skinny” as possible. I used only one egg, reduced the sugar, and omitted the butter. It was okay but not perfect. The reduced sugar resulted in the cake being a little pale. It was also a little flat as there was insufficient volume to fill the 8 inch x 8 inch pan. In my second attempt, I added one more egg, increased the sugar, and put in the butter (as per my egg free version). Instead of an 8 inch x 8 inch pan, I used an 8½ inch x 4½ inch x 2½ inch loaf pan. It was a little full but fortunately it turned out just fine. A 9¼ inch x 5¼ inch x 2½ inch loaf pan would probably have worked better. The additional egg gave the cake that pale yellow color. The extra sugar allowed the top to caramelize into a golden color. The texture was tender and a little chewy, as it should be. The flavor was very good, not too sweet and quite fragrant. Refrigerated leftovers will harden slightly in the refrigerator. Simply microwave it for about 10 to 15 seconds per piece to get it soft again. I hope you will give it a try. Combine coconut milk, sugar, and pandan leaves in a small saucepan. Bring to a simmer over medium low heat. Stir to dissolve sugar. Turn off stove and allow coconut milk mixture to cool. Grease or line a 8½ x 4½ x 2½ inch or 9¼ x 5¼ x 3 inch loaf pan with banana leaf. Pre-heat oven to 375°F (190°C). In a large bowl, combine grated tapioca, eggs, and melted butter. Pour in coconut milk mixture. Stir to incorporate all the ingredients. Pour mixture into prepared pan. Bake for 1 hour 30 minutes or until the top is a light golden brown color. Remove and allow cake to cool before cutting and serving. This cake looks so interesting! Do you think it could be made with fresh cassava? I could cook it and mash it. Yes, fresh cassava is the best. 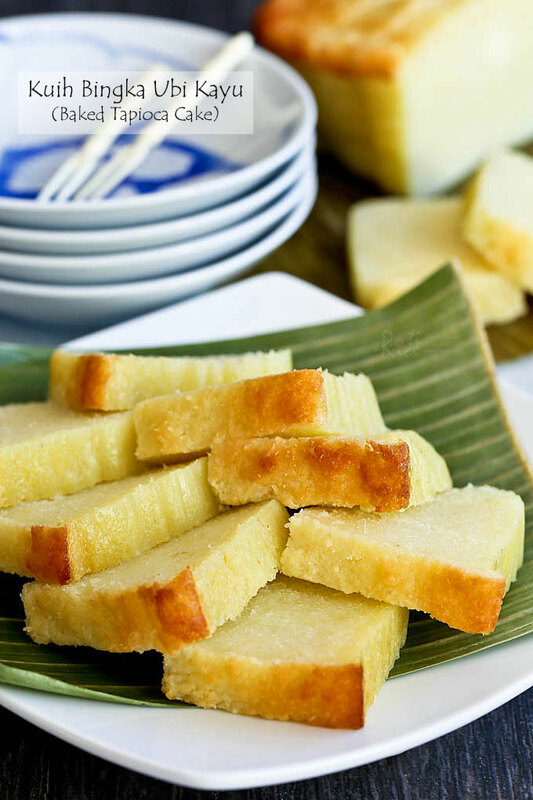 Grate the cassava and proceed as per the recipe. ?Yes, I did just that?~ using fresh cassava?? 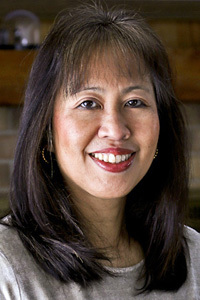 Hi Linda may I use tapioca flour, I didn’t know can I buy from Singapore supermarket or wet market? Tapioca flour alone will make the cake too dense. Also it will not be flavorful. Unfortunately, if you cannot find prepackaged grated tapioca, you will need to grate the tapioca to make this cake. I think it is more fragrant if you lined the baking pan with banana leaves. You don’t have to if you don’t want to. Made this cake tonight using cassava I grew in my garden. So delicious! 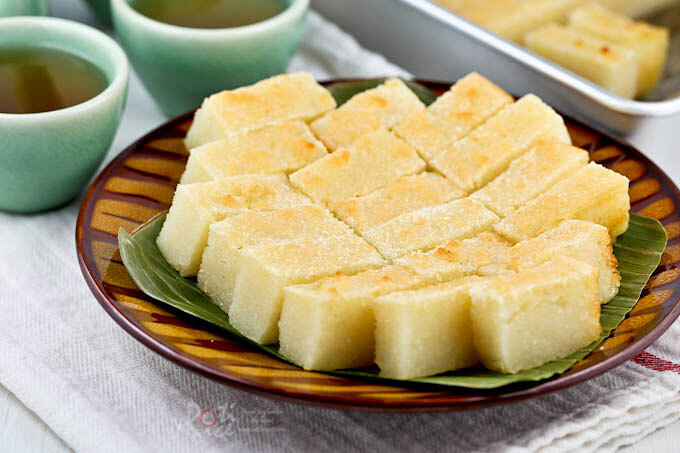 I love this cake but I cannot find any grated tapioca or cassava where I live. Can I just cassava flour? You mentioned that using tapioca flour will make the cake dense. Anyway, to “lighten” it? You will not get the right texture or taste with tapioca flour.